When he last gauged the revenue opportunity of the MacBook Air back in April, J.P. Morgan hardware analyst Mark Moskowitz estimated it at $2.2 billion. But with a refresh of the machine in the offing and demand for it still strong, he’s reassessed and come up with a new figure: $3 billion. 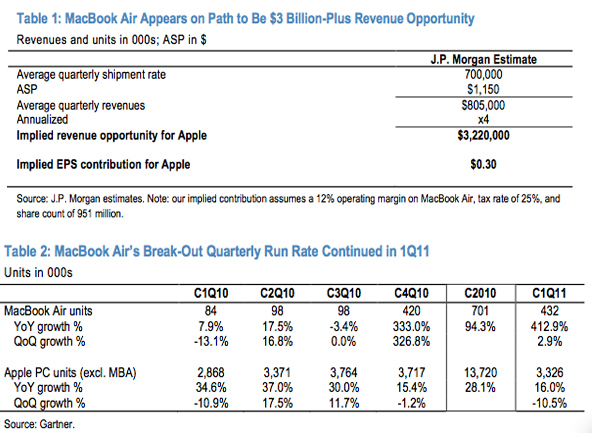 Moskowitz’s rationale for this is simple: The Air’s sales rose 2.9 percent sequentially in the first quarter, significantly outpacing the Mac’s overall. 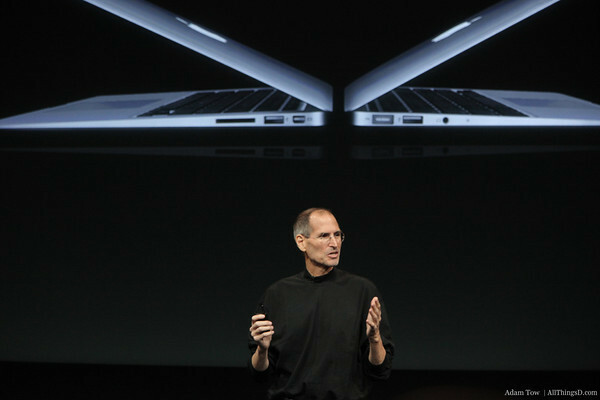 Add to this the fact that Apple shipped 432,000 MacBook Airs during that period, up 412.9 percent year over year at a time when the broader PC market was down 10.1 percent, and it’s not hard to see that the machine is building up quite a bit of traction in the market. Which, frankly, isn’t that hard to imagine. Certainly not now with the impending launch of iCloud, which will temper the average user’s need for high-capacity hard drives and give the Air storage to match its performance characteristics.